I loved listening to the Talking Heads, it wasn’t just the music, but that the lyrics were always (well almost always) so thought provoking. Last week, David Bryne wrote a wonderful essay on cities for the Wall Street Journal (of all places!?!?). The article David Byrnes’s Perfect City is as clear and on target as his music. What a talented observer of cities and how they work. Thanks to Richard Florida and the Creative Class for the heads up. 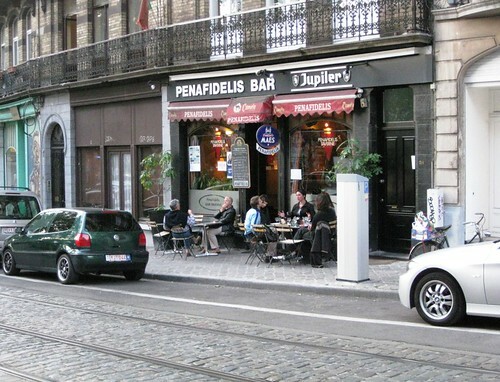 The photo above is of a sidewalk cafe in the Saint Gilles neighborhood of Brussels.